Shaun joined Alba Ballet in December 2013, replacing Tristan who was unable to commit due to work commitments in London. Born in Glasgow Shaun started dancing at the age of 12 attending The Dance School of Scotland. After 5 years of training Shaun went on to train at Elmhurst School for Dance in Assosiation with Birmingham Royal Ballet under the directorship of Desmond Kelly and Eroll Pickford for 3 years. During his time at Elmhurst Shaun worked with Birmingham Royal Ballet performing in The Sleeping Beauty, Romeo and Juliet, La Fille Mal Gradee, Copellia and Slaughter on 10th Avenue on tour across the UK and performed in The Sleeping Beauty in Japan. Upon graduating from Elmhurst Shaun became the first ever British male to join The Croatian National Ballet under the directorship of Ronald Savkovic. Shaun was promoted to Soloist in his first season with the company at the age of 20 and danced The Prince in Cinderella and The Prince in The Sleeping Beauty. During his time in Croatia his repetory included Carmina Burana, Shut up and Dance, Madamme Butterfly, Aida, Anna Karenia and Mirror of the Soul. In 2013 Shaun was a Guest Artist for Ther Macedonian National Ballet for their production of Alexander The Great choreographed my Ronald Savkovic. Shaun has also taught at some of the best international ballet companies in Europe including The Croatian National Ballet Rijeka, The Croatian National Ballet Zagreb, The Russian State Ballet of Siberia and The Macedonian National Ballet. Shaun also spent time in India teaching students from New Delhi and Mumbai. 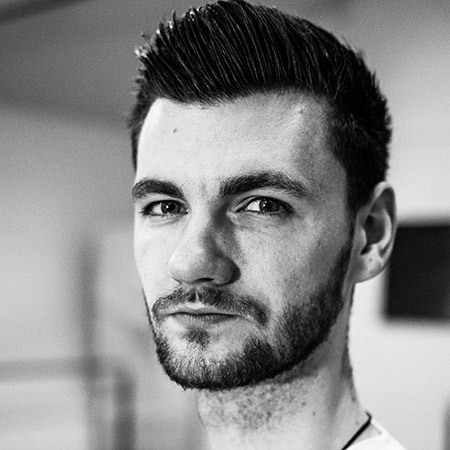 Shaun has also won multipal awards for his choreographic skills during his time at The Dance School of Scotland and at Elmhurst School for Dance and most notably an award from the Culture Minister of Croatia for his work Metatronic Destination.